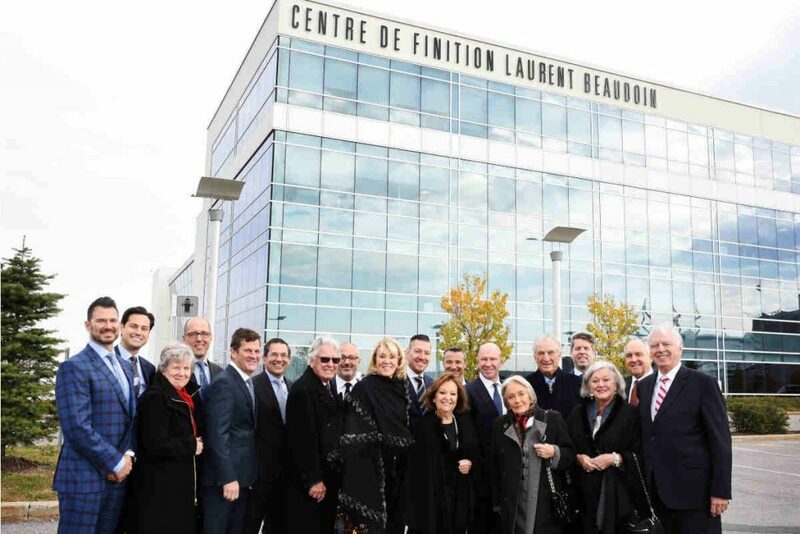 Bombardier’s Global Completion Centre has been renamed the Laurent Beaudoin Completion Centre to recognize the contributions of one of the company’s most historically influential visionaries. Under Beaudoin’s leadership, the Global Express aircraft made its first flight in 1996 and in 1998 the Completion Centre became home to some of Bombardier’s most skilled designers, engineers and artisans. Beaudoin retired in May 2018 after 55 years of service to Bombardier. Located in Dorval, Québec, the facility now named after Beaudoin was recently enlarged to host interior completion – design, manufacture and installation – activities for the Global 7500 aircraft. “Throughout his distinguished career at Bombardier, Laurent Beaudoin was motivated by his belief that nothing is impossible,” said Alain Bellemare, president and CEO, Bombardier. “His entrepreneurial spirit was the driving force behind the development of innovative products that redefined their industries, such as the world-famous Global Express business jet. “Laurent Beaudoin’s remarkable legacy will continue to inspire our employees to push the limits of technology, craftsmanship and performance,” added Bellemare. Beaudoin was president and later Chairman of Bombardier from 1966 to 2015. The company explains his leadership and vision transformed Bombardier from its origins as a snowmobile manufacturer into a global aerospace and rail transportation power.